Two Asian American-backed non-profits that channelAPA.com has been following are getting together for a fundraiser. The Jubilee Project is partnering with The Supply to build the first secondary school in Lenana, Kenya. 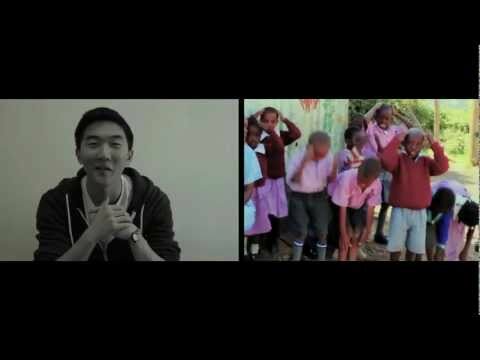 (It’s the same one Kevjumba is backing.) This school would service orphans and slum children in Lenana, providing them with an affordable education and advancing their educational pursuits. The mission of The Supply is to empower and transform communities through education. They move from village to village in developing countries working with local schools and community leaders on educational projects that secure the education for all children. In their most recent campaign, The Supply is aiming to raise $50,000 to build a secondary school that would service orphans and slum children in Lenana, providing them with an affordable education and advancing their educational pursuits. For every view that the video receives until July 31st, sponsors will each donate a penny. Help spread the word. See previous causes supported by Jubilee Project including Love Language, Beautiful, Why I Sing, and Waiting Game. This entry was posted in kids, shorts on July 7, 2011 by Kevin Hsieh - channel APA.